This "mid-week level" puzzle (9x12), created with the active help of Grandma Arlene Romoff, welcomed into the world the handsome lad pictured on the upper right. After completing the puzzle (spoiler), learn more about various aspects of the puzzle, including relevant family history, by clicking here for a "midrash." 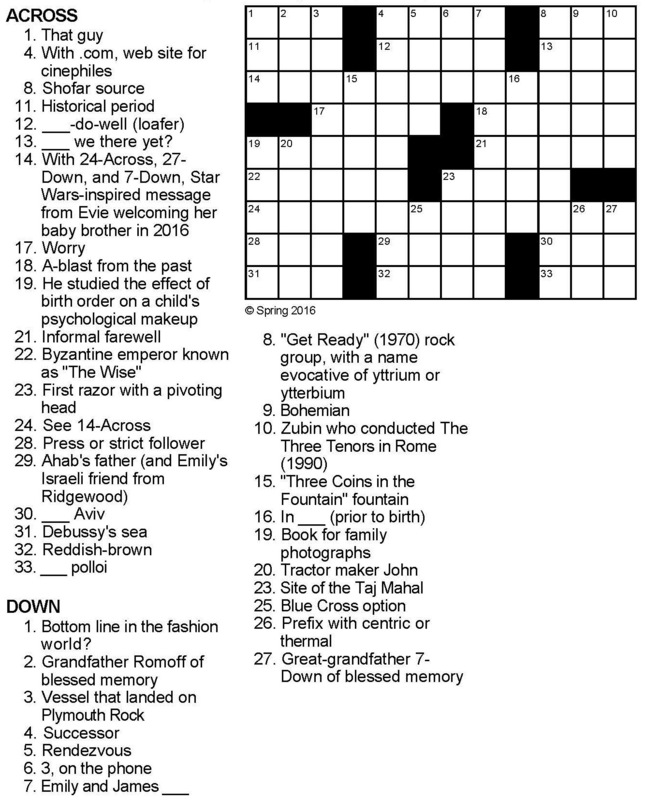 Click here to view or download the puzzle in PDF format; here to download it as a puz file; here to download it as an ipuz file [requires the free Puzzazz app to solve]; here to solve the puzzle interactively (thanks to Jim Horne); here for the solution. 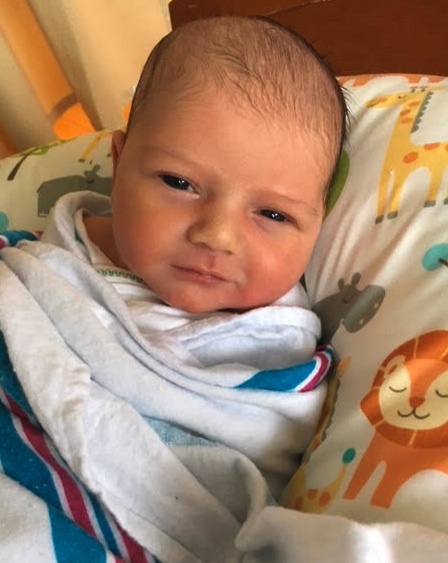 I would like to thank Howard Barkin, Sabina Brukner, John Child, Michael Hanko, Martin Herbach, David Liben-Nowell, and Ned White for their enthusiastic and thoughtful beta testing and suggestions that help make this birth announcement special.